Businessmen and women will swap board rooms for the stage when they step into the spotlight to tell jokes for charity. The ‘Funny Business’ event at Sheffield City Hall will see seven high profile business leaders competing in a comedy challenge. They have agreed to take part to raise cash for Weston Park Hospital’s Cancer Charity. The participants will each deliver a five minute comedy sketch to a packed out venue where four judges will mark them. 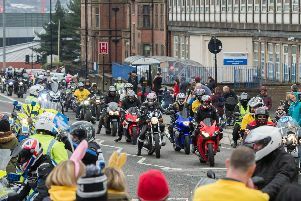 Now into its fourth year, the event has raised £60,000 since it first began in 2012. Contestants undergo a five week training regime with policeman turned comedian, Alfie Moore, before they take to the stage on Wednesday, October 7. This year’s participants are Michele Phillips, Director, of Lupton Fawcett Denison Till; Andrew Howard, Medical Director of One Health Group; George Forsyth, General Manager of Napoleons Casino; Craig Gray, Director of Natwest (Yorkshire and Humberside); Greg Naylor, Consultant Gastroenterologist at Chesterfield NHS; Phil Turne, owner of Exposed Magazine and DP Dr Brendon Swales. “Over the last few weeks, in preparation for the big event, the participants have put their all into honing their stand-up skills and are hoping for lots of laughs on the night. The event is being generously sponsored by One Health, Hampton by Hilton Sheffield and Marcos New York Italian.